Encourages skin recovery by morning. 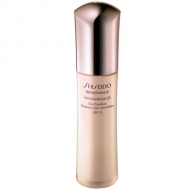 Benefiance Wrinkleresist24 Night Emulsion is a skin care product that intensively addresses aging concerns. Contains a special blend of ingredients to maintain your skin naturally moisturized. Also provides intense hydration to regenerate your skin and reduce signs of aging.